30 minute video showing someone soldering smd. 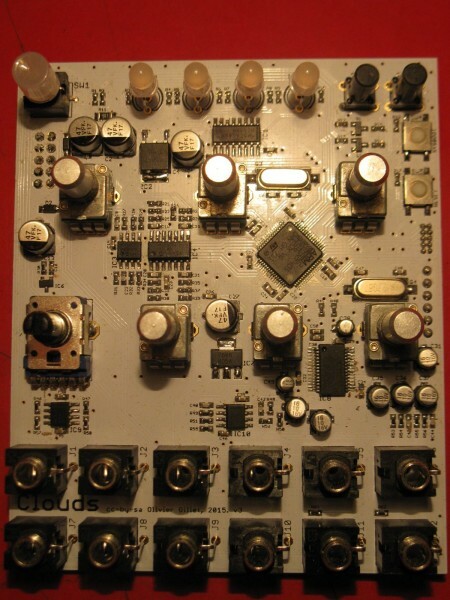 I decided to start on clouds today and after having cleaned up my desk I sat down with a cup of tea ready to start soldering. opposite side of this is a circular marking which I had used to orientate the chip so it was rotated 180 degrees. Since I don't have a hot air station it all went downhill from there pretty quick, well actually it took some time. as Rings uses the same one. I will order a new one for that whenever I get to order parts for elements. cream cheese and just had to pull a component leg out of my foot. I am not having the best time of my life. Is a prayer machine what I think it is? the same so I can easily swap the PCB. I made a temporary cardboard panel for it as it will be a while before I get a proper one. Just found this thread. Nice work in getting your Braids and Clouds up and running! MI modules are quite challenging, IMO. 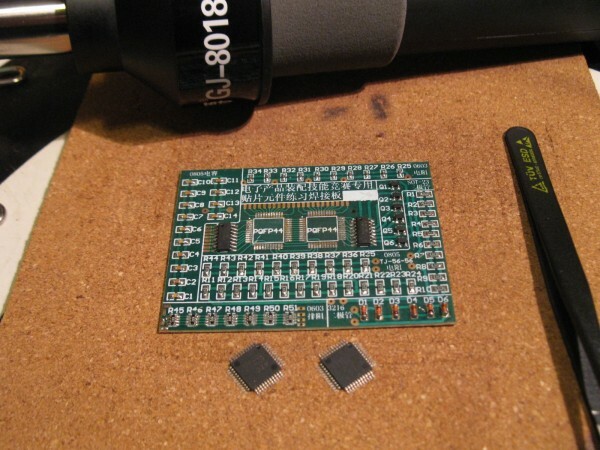 I also started doing SMD projects last year in a similar fashion. I wanted to build a Tides, so I bought a few practice board off ebay and some tools from Mouser. On the first try, I borked the MCU soldering and couldn't find the shorts. 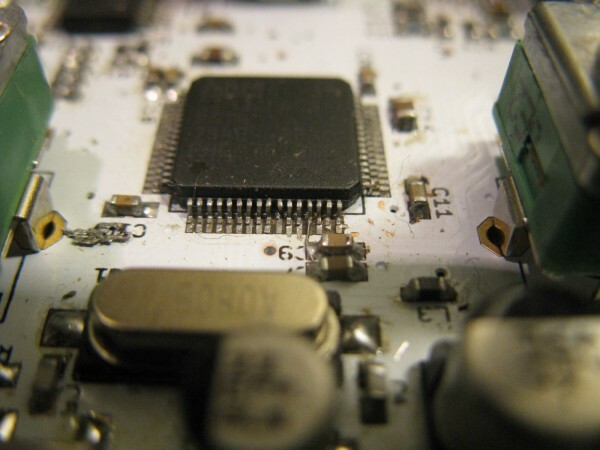 When that arrived, I was able to safely remove the chip without damaging the board or the chip. Re-installing the chip went much smoother. Proper tools and lighting make all the difference, IMO. I also use a jeweler's loupe to inspect for problems. I tend to use more flux than others. I bought some flux in a bottle and a dispenser bottle with a super-thin tip. For cleanup, I use flux remover and IPA. If you're interested in more MI stuff, modular addict sells PCBs and panels (which don't cost a fortune ). I've ordered myself a cheap hotair gun after the fiasco from last time in case I have any more screw ups in the future. I might use it for soldering chips too. I've seen some videos where solder paste was used and it does seem to work great. Without a stencil it is probably not worth it to use for all the components though. The flux I use comes in pen form and although the flux works great I think one of those needle bottles would be very useful. and pushing the tip damages it quite quickly. The thicker gel like flux also looks very useful. loupe (15x) but it needs to be placed on the board to be useful and that starts to get tricky when more components are installed. 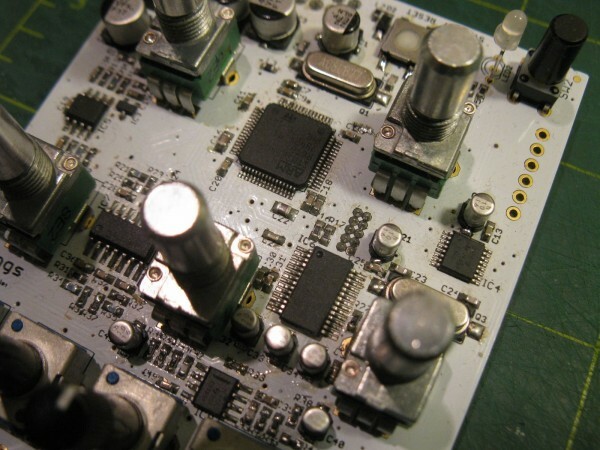 preview them which has helped me to locate some small solder bridges. 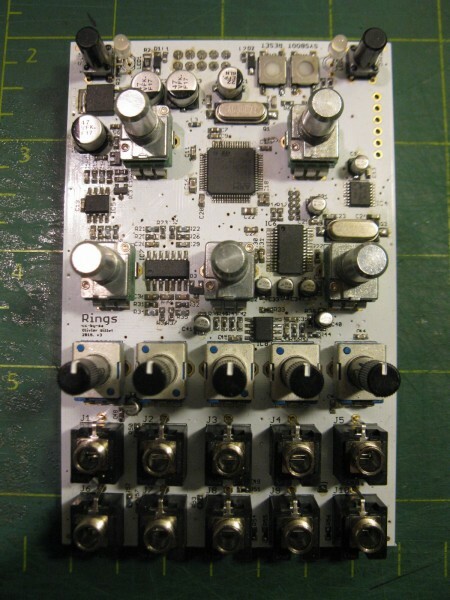 them as being original Mutable Instruments modules. 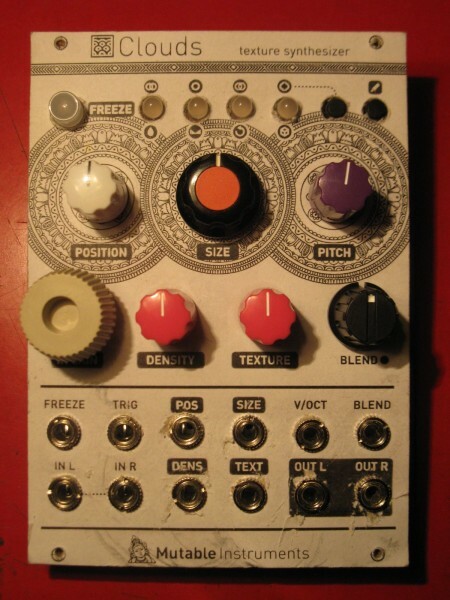 I finished another member of the Mutable Instruments family: Rings. the desoldering braid. Of course it went wrong on the last side I soldered so it wasn't easy to take it off. and I soldered on the other parts. There was no smoke on powerup, as a matter of fact it actually worked! Today I finished the frontpanel which came out pretty nice so here it is. That's when you find out how small these pins really are.